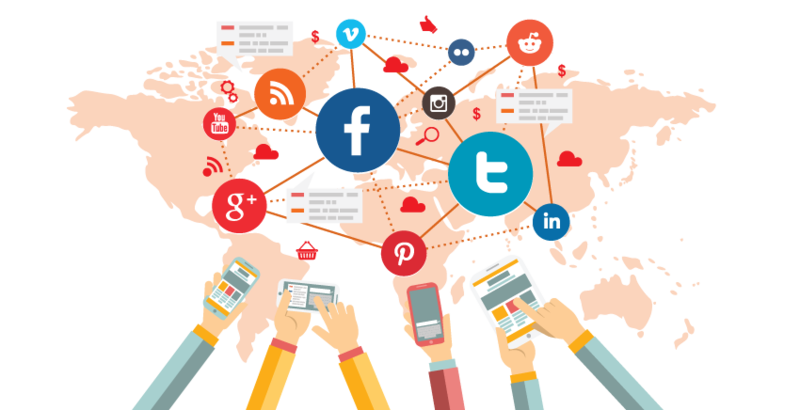 Social media marketing company in surat are rare who offers best Social Media Marketing service in Surat. Basically, it refers to the process of gaining website traffic or attention through social media sites. Social media marketing programs usually center on efforts to create content that attracts attention and encourages readers to share it with their social networks. The whole marketing landscape has changed with the introduction of Social Media. New avenues were opened for marketers that before did not exist or were too complicated. Now we have an easy to use and powerful tool at our finger tips that can share a piece of content all over the world in seconds. Many people use Social Media for personal reasons but now if you are not using it for business reasons you’re already behind. You will be surprised how using Social Media can reach into other parts of your marketing strategy. We are that one Digital Marketing agency that think of their potential clients rather than only gaining profit from them. We are online 24x7. (Contact us) now or submit quote request and we will make a steal deal for you. Everyone loves my website. People find it attractive and easy to navigate. Our company’s success has accelerated because of Rising Wings expertise and Innovation..
© Rising Wings Creative Pvt. Ltd. 2017. All Rights Reserved.